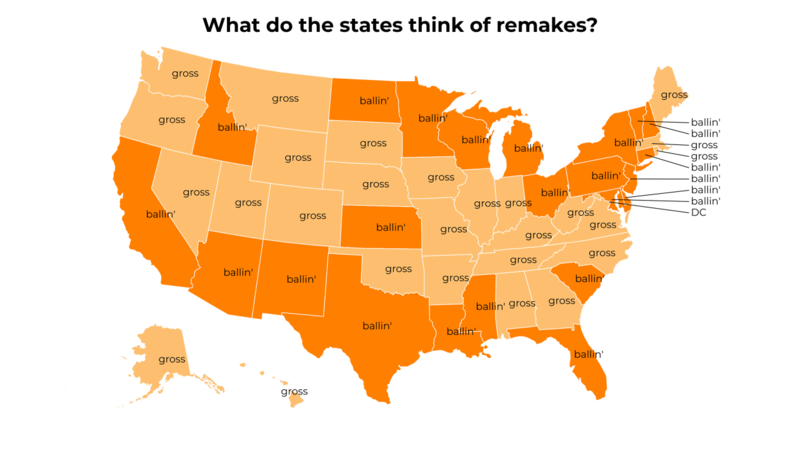 What do the states think of remakes? 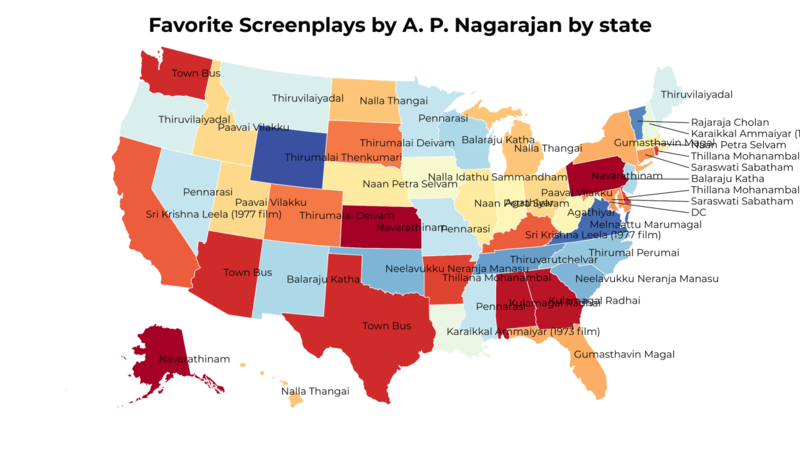 What do the states think of humanitarians? 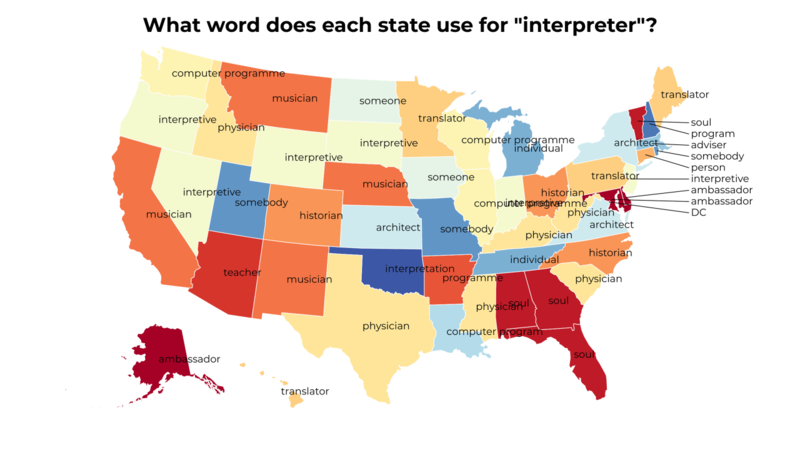 What word does each state use for "interpreter"? 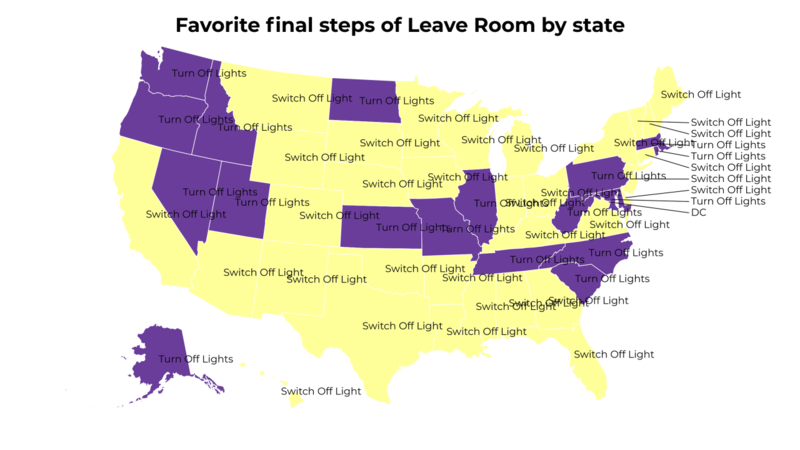 Which things Freedom makes you want does your state love the most? 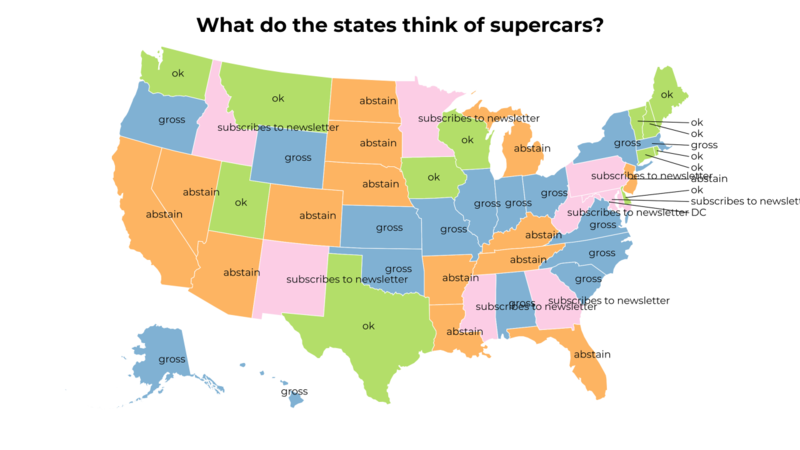 What do the states think of supercars? 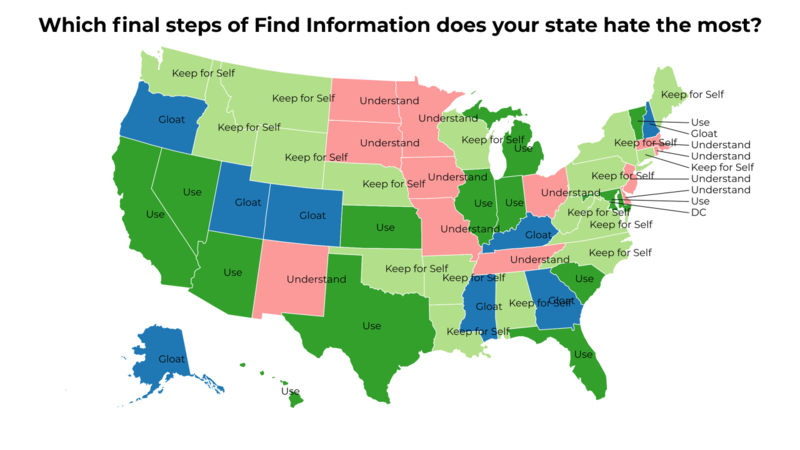 Which final steps of Find Information does your state hate the most? 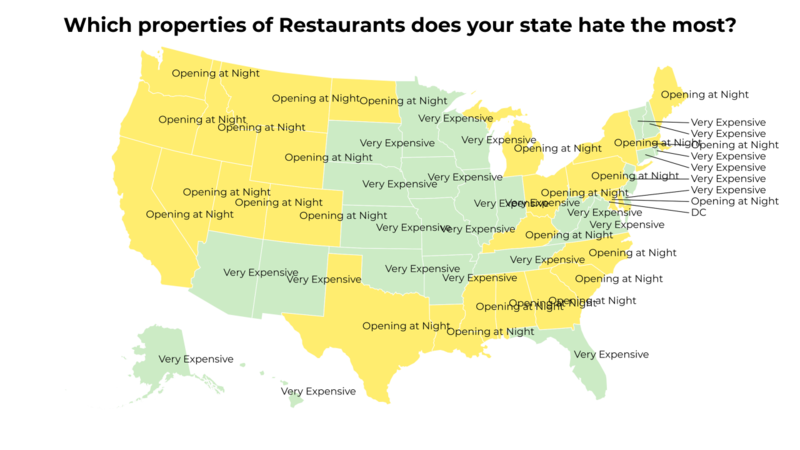 Which properties of Restaurants does your state hate the most? 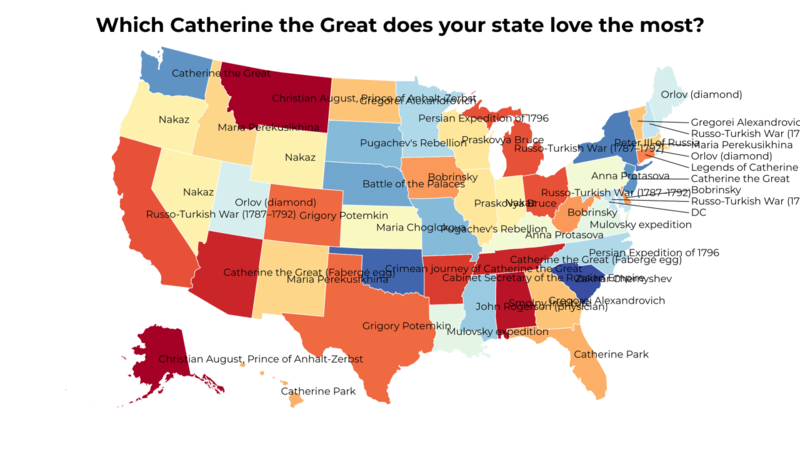 Which Catherine the Great does your state love the most? 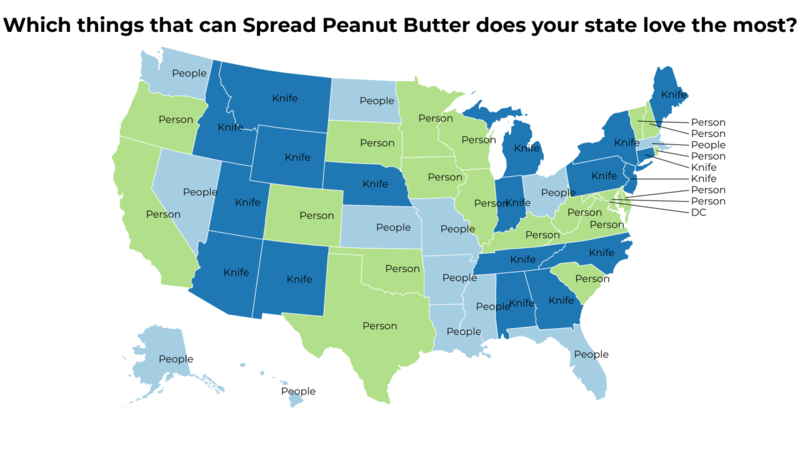 Which things that can Spread Peanut Butter does your state love the most? 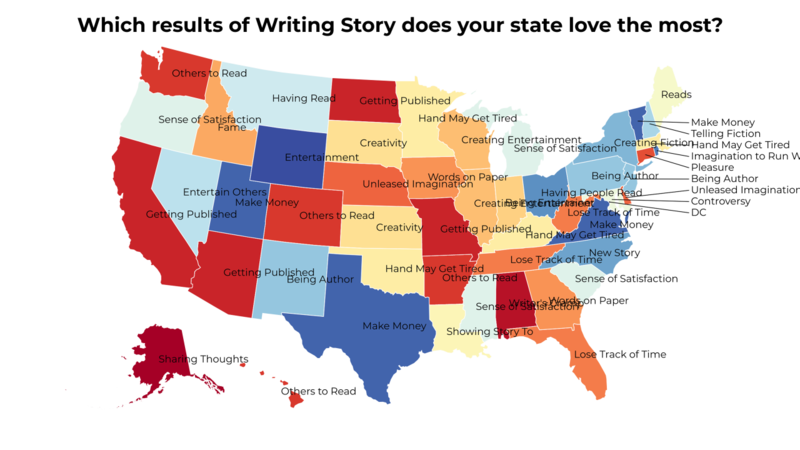 Which results of Writing Story does your state love the most? 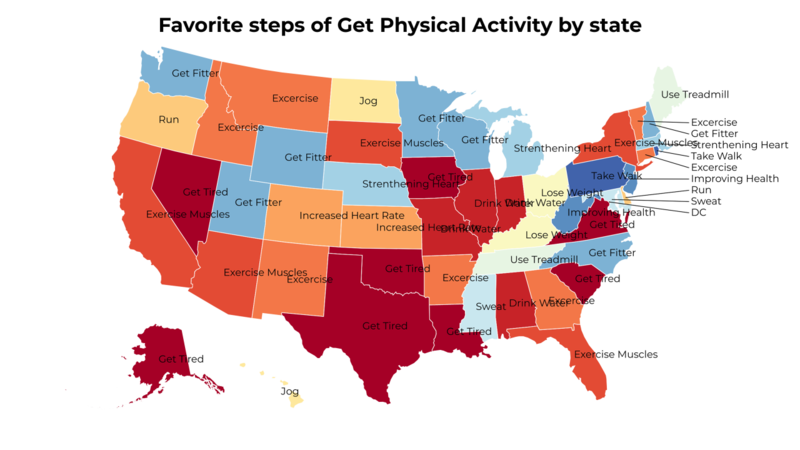 Which motivations of Skateboard does your state hate the most? 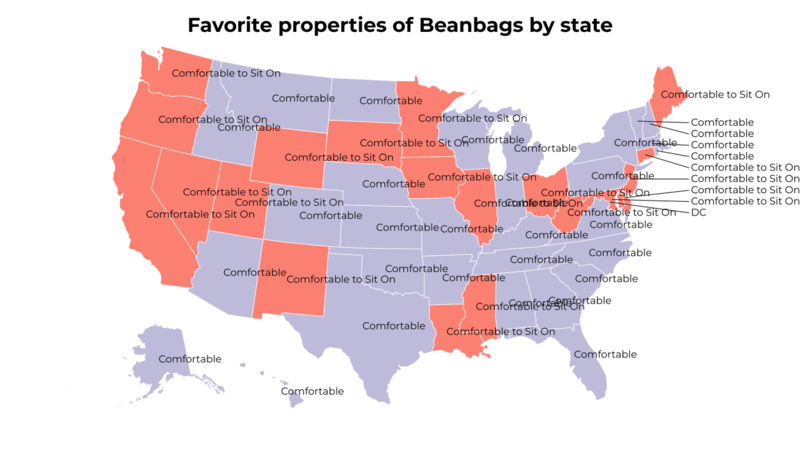 Which things used for Releasing Stress does your state hate the most? 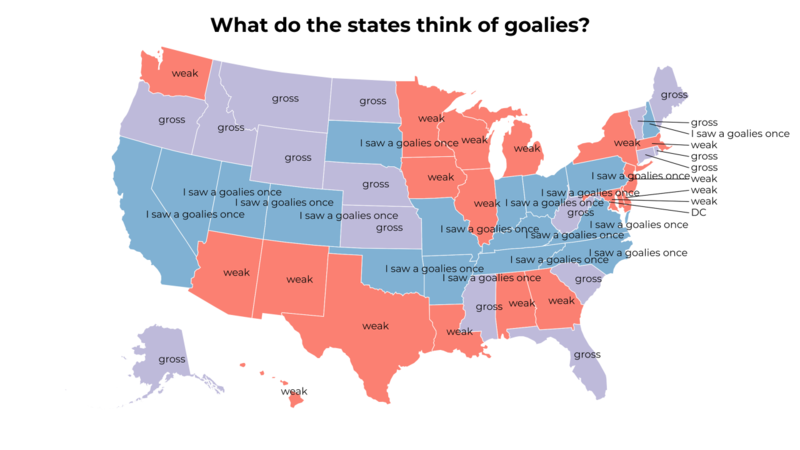 What do the states think of goalies? 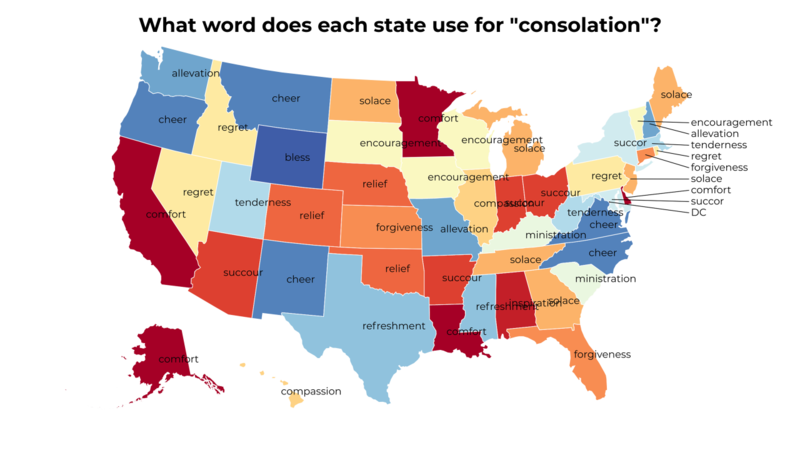 What word does each state use for "consolation"?